Hello Xindanwei. 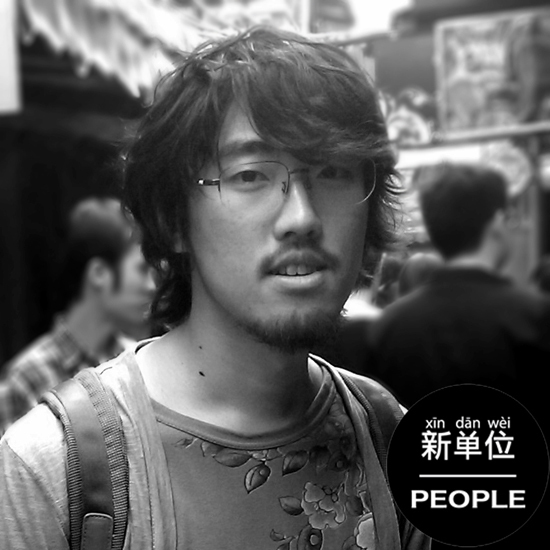 My name is Michael Chang and I’m a free-lance creative technologist working at Google. I was born in Taiwan, and studied at UCLA in California. It’s been a long and twisted path, starting with doing programmable motion graphics at Motion Theory, then a creative director at Protohaus in Shanghai, before being called back to the states for work with Google. 2. We learned that you are working with the Data Arts Team at Google and make Chrome Experiments alongside some very talented creative coders on projects. Can you tell us about 100,000 Stars, the project you are working for and what you do for them? Data Arts Team is a branch of Google’s Creative Lab, which handles all of Google’s marketing and branding. We do everything from internal design development, event graphics, and data visualization. For example, I was asked to create the boot-up animation for the Nexus One phone for Google. We’re also tasked with pushing the boundaries of what Chrome browser can do, specifically on Chrome Experiments where we ask developers to submit their “experiments” using the latest web technologies. The work that these developers do constantly surprise us. Internally we also make our own Chrome Experiments, such as when our team leader Aaron Koblin worked with Chris Milk on web music videos like ROME or collaborative art installations like Exquisite Forest which is currently on display at the MOMA in London. Our latest piece was 100,000 Stars. I spear-headed this visualization and worked with the team on implementation and the data-gathering. 3. Please elaborate a bit on your approach to realize your project 100,000 Stars. As you’ve been working on data visualization, can you also tell us the experiences you had for these years? It’s a really exciting time to be doing data visualization especially now on the web where we can deliver some really rich 3D graphics with things like THREE.js (a webgl library). Data visualization has the power to show people things that are hard to imagine — we’re surrounded by really interesting, fascinating sets of data and yet it’s really hard to get someone to look at a spread-sheet or a graph. I personally think that data can and sometimes *should* be made attractive, such that we get the public to look at and understand the data. That’s always really challenging. 4. You’ve also been one of the driving forces behind Puny Human. Can you explain a little about this indie game studio, your experiences with it, and how it got started? Several years ago my colleague and I wanted to play a sword-fighting game with gameplay that we had in mind, and unfortunately at the time no game studio made the game that we wanted to play. So in a moment of fearless (and possibly stupid) decision making we hit the road with studying up on game engines, and learning how to make a game from scratch. We didn’t go into it completely blind, we already knew how to animate, or model, or program — and so it started from a simple prototype of a game to what it was today. That was in 2008! So it’s been a long time now. 5. Of course a follow up to the previous question is, Can you explain a bit about Blade Symphony, what it is, and who it is for as well as your involvement in its creation? Blade Symphony is a third-person multi-player sword fighting game for the PC. You can switch to one of many fighting styles like fencing, Chinese Jian-Shu, german long-sword, kenjutsu, and even non-existent styles like break-dance sword fighting. I had to actually go out and study and train a few different sword fighting styles like kenjutsu and italian and german long-sword fighting techniques. Our team is about eight people with a support staff. Everyone is non-paid, which is sort of un-heard of given how big the game is. We did run a successful Kickstarter campaign and raised enough money to pay for the game engine we’re using, but not enough to pay ourselves. We’re pretty close to finishing though! The beta is coming up in February and a full retail release on Steam is looking pretty close this year. 6.Thanks again for providing Xindanwei.com this opportunity to interview you. Any final thoughts for our readers? There’s a lot of bright, inventive people at Xindanwei. I hope to get the chance to meet you!